Sri Lanka, replying to India’s first innings total of 393, were all out for 306 after tea on the third day of the second Test in Colombo on Saturday. 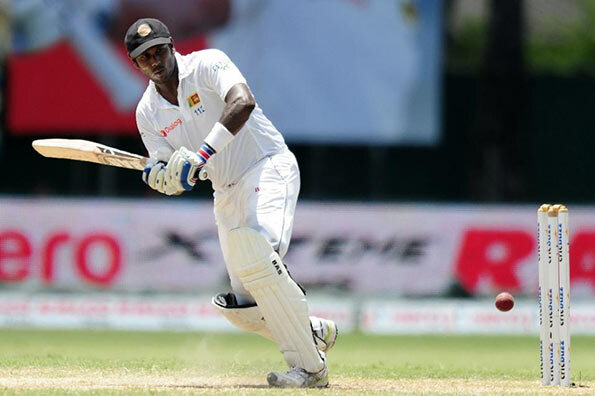 Skipper Angelo Mathews hit 102, his sixth Test century, but the hosts conceded a lead of 87 runs at the P. Sara Oval. Leg-spinner Amit Mishra finished with four wickets, while seamer Ishant Sharma and off-spinner Ravichandran Ashwin claimed two each. Sri Lanka lead the three-match series, having won the first Test in Galle by 63 runs.